DDC's 80386DX high performance 32-bit microprocessor features a geater than 100 krad (Si) total dose tolerance, dependent upon space mission. It is designed for very high performance and multitasking operating systems. 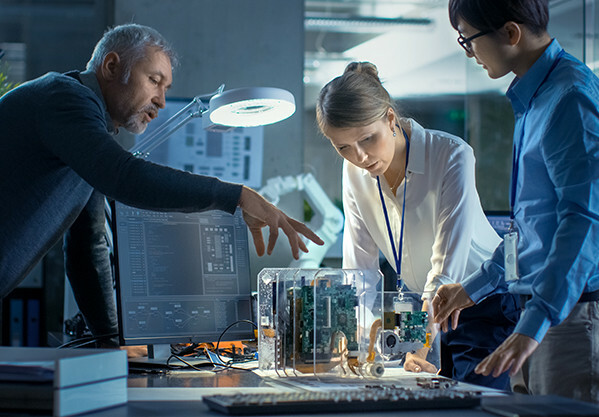 The integrated memory management and protection architecture includes address translation registers, multitasking hardware and a protection mechanism to support operating systems. The 80386DX allows simultaneous running of multiple operations. In addition, the 80386DX is capable of execution at sustained rates of between 3 and 4 million instructions per second. It offers new testability and debugging features, including a self-test and direct access to the page translation cache. 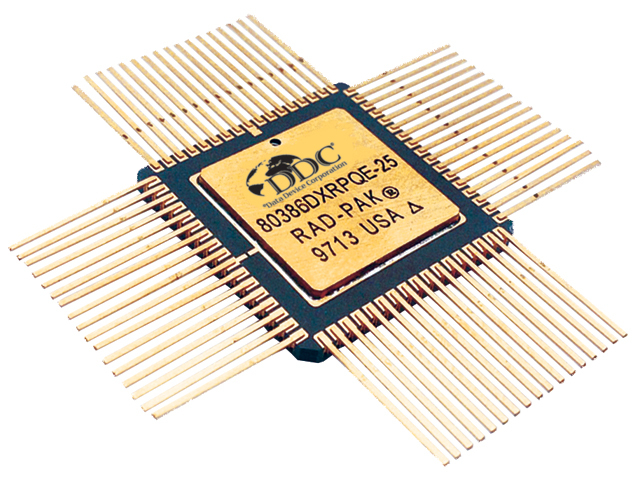 DDC's patented RAD-PAK packaging technology incorporates radiation shielding in the microcircuit package. It eliminates the need for box shielding while providing the required radiation shielding for a lifetime in orbit or space mission. In a GEO orbit, RAD-PAK provides greater than 100 krad (Si) radiation dose tolerance. This product is available with screening up to Class S.